a. A description of the organization's values, principles, standards, and norms of behaviour. An ethical culture, integrity and our core values are contextualised in an overall framework. The commitment to building and sustaining an ethical organisational culture is entrenched in the company's vision, mission, strategies and operations (See also 2018 Integrated report: Business model). The board assumes ultimate responsibility for the company's ethical performance by delegating to executive management the task of setting up a well-designed and properly implemented ethics management process. In May 2011 the board approved an ethics and compliance framework for the group. This is designed to further entrench and integrate the requirements of good corporate governance throughout the group. The framework addresses governance standards and includes executive commitment to responsible leadership and the Barloworld Worldwide Code of Conduct, systems infrastructure and due diligence standards. The compliance standards provide the operational requirements for setting and maintaining policies, training, communication and reporting. The business of the group and its relationship with stakeholders is governed by the Barloworld Worldwide Code of Conduct, a Code of Ethics and a group stakeholder policy, approved by the board. 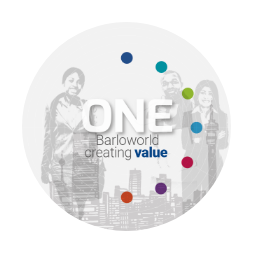 The Worldwide Code of Conduct articulates Barloworld's commitment to doing business the right way, according to best practices, guided by the values of integrity, excellence, teamwork, commitment and sustainability. The Code of Ethics enjoins Barloworld directors, management, employees and stakeholders to obey the law, respect others, be fair, honest and protect the environment. The group stakeholder policy provides a stakeholder consultation and relationship management framework and guiding principles. These guiding principles are supported by a group anti-fraud management policy and a suite of policies dealing with anti-bribery and corruption, including gifts and hospitality and due diligence of third party service providers. A Supplier and Service Provider Code of Conduct has been developed and approved and has been implemented appropriately by the divisions. The board and management understand that the company is not only an economic entity but a corporate citizen and, as such, it has a social and moral standing in society with all the responsibilities of that status. The board is therefore responsible for ensuring that the group protects, enhances and invests in the wellbeing of the economy, society and the natural environment and pursues its activities within the limits of social, political and environmental responsibilities outlined in various international conventions. See also Ethical leadership in 2018 Barloworld IR (governance report). ii. reporting concerns about unethical or unlawful behaviour, and organizational integrity.